In nearby Asheville, NC, cultural and community celebrations are a way of life and Asheville is home to some of the most widely attended and celebrated festivals in the Southeast. This weekend, from January 27th through January 29th, marks the 20th Annual All That Jazz Weekend in Asheville. Located at the Grove Park Inn and Spa, the full event is a three-day celebration perfect for any jazz enthusiast. Attendees have the option of purchasing a full package of concerts and hotel accommodations for $124.75 or to purchase concert tickets to individual events separately. Featured performances include a Friday night appearance by the John Pizzarelli Quartet, a Saturday afternoon performance by the Lenore Raphael Duo featuring Herman Burney, and a Saturday night performance by Jessica Molaskey and the Aaron Weinstein Trio. In addition to these special performances, there will be a wide range of activities including a historical tour of the Grove Park Inn and Spa, a cooking demonstration by our INN THE KITCHEN restaurant’s chefs, a one-hour presentation on the history of jazz by Kat Williams, and other comedy and musical performances. 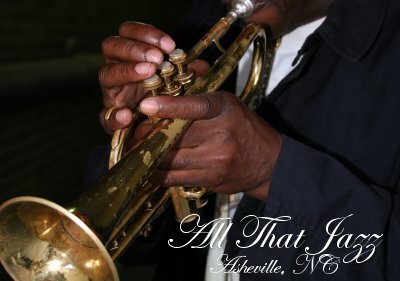 Nationally recognized as one of the top jazz festivals in the Southeast, every true lover of jazz should make a point of attending the 20th Annual All That Jazz Weekend in Asheville. Whether you spend the entire weekend or just attend one of the special performances, this is a can’t-miss event that will satisfy jazz aficionados from all walks of life. The western North Carolina mountains are one of America’s foremost resort and retirement areas, and Sylvan Heights is perfectly situated within this wonderful area. Located in Transylvania County, just 10 minutes outside Brevard, Sylvan Heights has only 58 lots on 255 acres and offers outstanding value, panaramic Blue Ridge Mountain views, and a host of natural amenities including a pristine fishing lake, mountain streams, multi-use trails, and a community park and frisbee field. Situated along the mountain ridge of Kelly Mountain, Sylvan Heights is an ideal place for a primary residence, mountain vacation home, or retirement home. Large lots offer outstanding privacy and abundant nature, and yet are only minutes from the festivals, recreational activities, golf courses, and restaurants, found in Brevard, and nearby Asheville, and Hendersonville, NC. A mecca for the outdoor enthusiast, Transylvania County, known as the Land of Waterfalls, provides endless opportunties for fishing, mountain biking, hiking, and other outdoor activities within the 100,000 acres of public lands included in nearby Pisgah National Forest, Dupont State Forest, Gorges State Park, and the Blue Ridge Parkway’s scenic vistas are unbeatable. With so much to offer, Sylvan Heights is a must see for anyone contemplating an investment in Western North Carolina Mountain Real Estate. 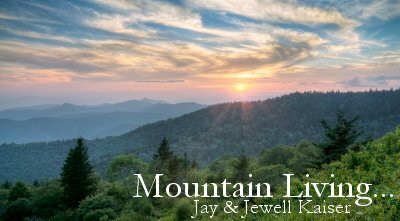 Contact Jay & Jewell Kaiser, for more information on Sylvan Heights or other Brevard and Asheville, NC properties. We are the most informed professionals in our market area and we will make your Brevard, North Carolina real estate experience productive and successful. BIKE Magazine deems Transylvania County "Ground Zero For Some Of The Best Riding In The Nation"! Shots of some of the many mountain biking hot spots that Western NC has to offer. Along with cycling, mountain biking, and fishing, horseback riding is another one of the fabulous activities that outdoor enthusiasts enjoy in the Brevard, Hendersonville, and Asheville area of Western North Carolina. Amazing panaramic views and rugged mountain scenery are the backdrop for riders as they hit the multitude of trails located here in the beautiful Blue Ridge Mountains. 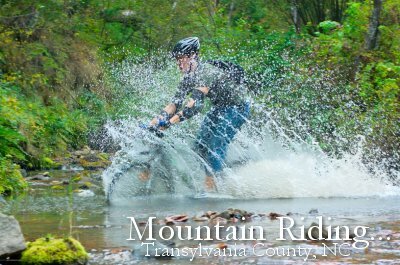 State and National forest cover one-third of Transylvania County with miles of trails to provide endless hours of riding opportunities. A favorite site for trail riders with 90 miles of trails around beautiful waterfalls with most of the trails being single track and old logging roads. This is a great loop affording views of four of the major waterfalls. Many loops can be developed by connecting the trails. All trails are open to horses except for Triple Falls Trail and a few clearly marked hiking trails. There are several trails that lead off of this trail, but to do the loop stay on Lake Imaging Road. The Pisgah National Forest is a popular area for horseback riding. With many loop rides and most trails connect to the South Mills River Trail. Streamside and wooded trails as well as old logging roads ranging between 1 and 12 miles long. Trails here go through fields, run along streams, and follow the ridgetop. Ranging in length from 1-5 miles longs, you’ll find easy grades as well as steep, and opportunities for multiple loop rides. The horseback riding area at Davidson River is several miles from the river. The horse area is near Pink Beds, Cradle of Forestry area. Over 80 miles of horse trails that include wide open spaces as well as roads and trails along the edge of the beautiful French Broad River. You’ll find cross-country jumps and many of the trails also have optional jumps. Don’t own a horse but would like to experience this beautiful area of Western North Carolina on horseback? Not a problem! Brevard has several riding stables that offer guided trail rides with experienced guides who will bring you out to explore and safely enjoy the private mountain trails.